Remove the intake manifold brace fasteners (1) and remove the intake manifold brace (2). 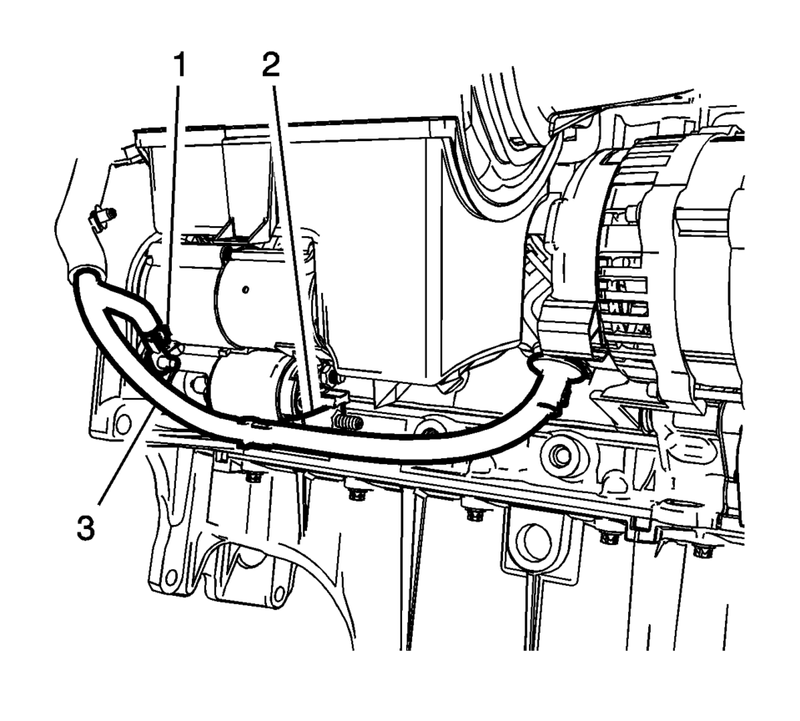 Remove the starter solenoid battery positive fastener (2) and the starter mounting stud/fastener (1). 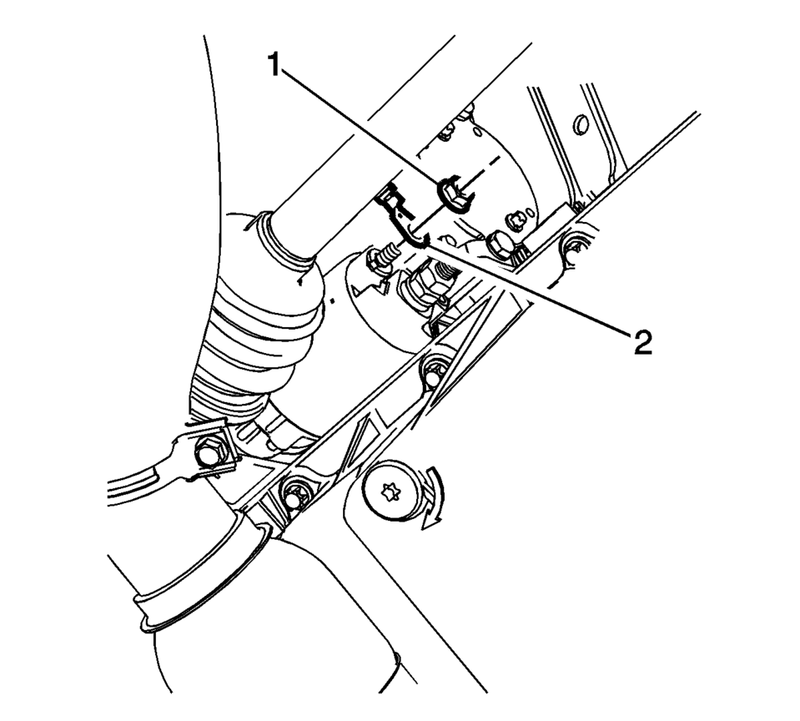 Remove the battery positive and negative cable (3) from the starter. 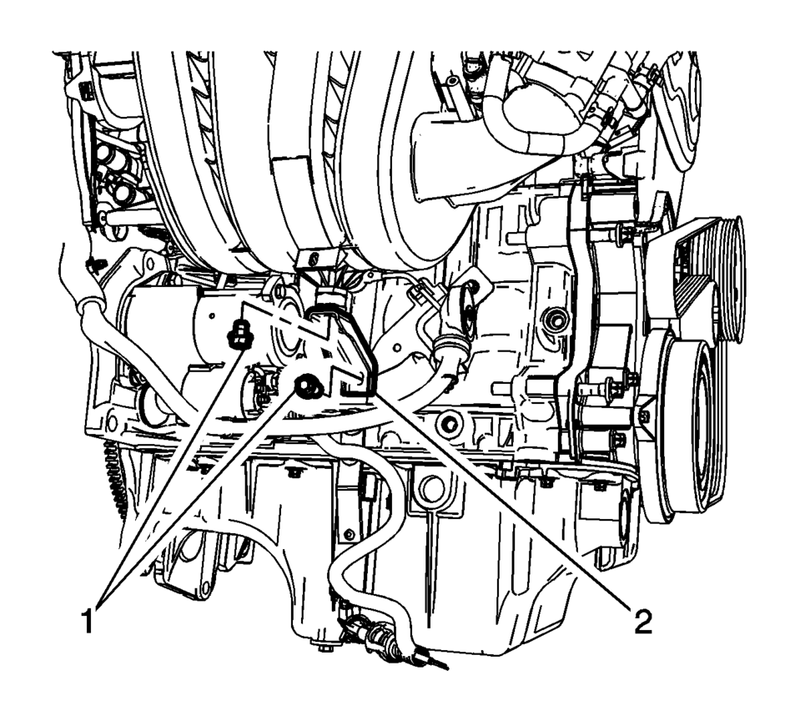 Remove the starter solenoid fastener (1) and the engine harness terminal (2) from the starter solenoid. The starter mounting fastener can be accessed from the top of the engine, with the battery tray removed. 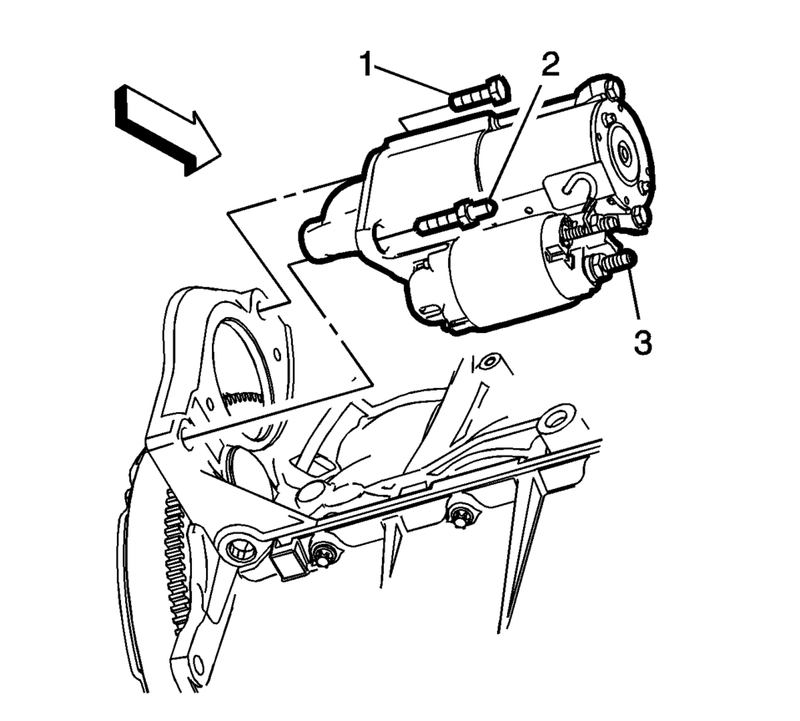 Remove the starter mounting fastener (1) and the starter (3) from the vehicle.